I recently came across this hardback edition of Hugo Claus’s The Sorrow of Belgium (1983) in the English translation by Arnold J. Pomerans published by Pantheon Books in 1990. I had already tried reading it a few years ago in the Penguin paperback edition, but failed to get beyond the opening pages. Since Claus (1929-2008) was, reputedly, the greatest Flemish writer and since this novel was, reputedly, his masterpiece, I somehow feel I will sooner or later have to give it another try. Not least because I live in Brussels and because Belgium is going through a protracted political crisis and because the issue of collaboration during the Second World War has again come up in Parliament (see, e.g., this report on MSNBC). Incidentally, this cover illustration, apparently designed by Anne Scatto, has not been used since, to the best of my knowledge. The copy I picked up turned out to be a discarded library copy, and indeed, from the library card included at the back of the book, it seems as though not many English-speaking readers borrowed it in the twenty years it was sitting on the shelf in the public library in Dilbeek, a (Flemish) commune on the outskirts of the (billingual) Brussels region that came to fame a few years ago when it adopted the slogan “waar Vlamingen thuis zijn” (“where Flemings are at home”). Perhaps there are no English-speakers in Dilbeek, or if there are, perhaps they read Claus in Dutch, or perhaps they’re just not interested in Flemish literature, or in Claus’s work, despite the fact that he was often “tipped” for the Nobel Prize for Literature (surely a bad sign for any writer). Or perhaps it’s just one of those “masterpieces” that no one ever gets around to reading. Indeed, if English-speakers in Dilbeek failed to delve into it, it also seems to have remained unread in Flanders: according to a 2005 survey by the Flemish broadcaster VRT (reported here in the Flemish newspaper Het Nieuwsblad), it was (and perhaps still is?) the most unread book in Flanders, ahead of Umberto Eco’s Foucault’s Pendulum and Salman Rushdie’s The Satanic Verses, the Bible and Joyce’s Ulysses. Wait and see how long it will remain unread on my bookshelf. 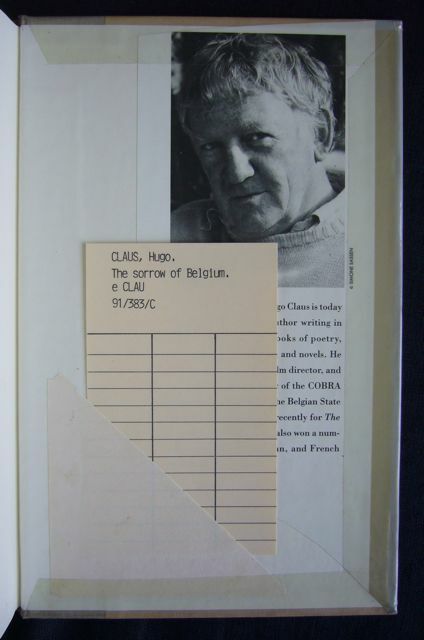 This entry was posted in Belgium, Hugo Claus and tagged Hugo Claus, Sorrow of Belgium. Bookmark the permalink. Read it in a French translation maybe twenty years ago. At this time, it was already a great book. 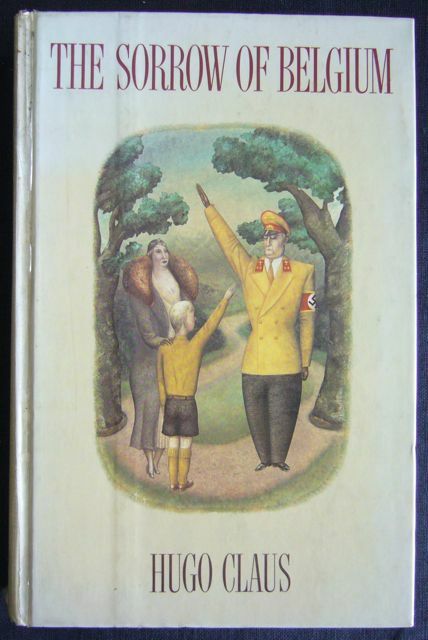 Maybe because one of the first (Flemish) book that was trying to tell the truth about the feeling of a part of the (Flemish) people towards Germany. I remember a sort of uneasiness on reading it : how one’s behaviour depends on so small things (born here or there, in this class or that one, etc).